It's been almost two years since the launch of the original Talos, and we've learned quite a lot in that time. Over the course of its life, we found some things that we felt we could improve, and after working for the last year we are proud to announce the release of its successor, the Talos 2. Though we've done a lot differently - which we're quite eager to tell you about - we should make something clear to start: the Talos 2 is still pursuing the same goals as the original Talos - a tastefully V-shaped response which adds excitement to music without overly embellishing; an ergonomic focus which leaves it ready to be worn comfortably all day; and a value-oriented design which lets us keep prices down, even though every Talos 2 is modified by hand in America, just like the original Talos. We've refined our technique and tried to offer more than we did before, but the soul of the Talos remains in the Talos 2. Some of the most obvious changes we've made with the Talos 2 are visible right out of the box, so that's where we'll start. One of the things we were never quite satisfied with on the original Talos was the styling. Though the copper vinyls on the cup flanges had a distinctive coloring, the overall look remained solidly stock. After some durability issues with the original label stickers, we moved to strongly adhered urethane for the branding and unit markers, but the units still felt a bit too fragile to us, and still looked relatively stock when not viewed from the side. With the Talos 2, we've moved to a durable hammered copper paint for the cups, giving a much more distinctive look, and resistance to scratches, which showed up rather starkly on the black ABS of the stock T50RP. We didn't stop there, however. The stock jack was without question the Achilles heel of the stock T50RP frame. Though its locking mechanism is quite clever, the TRS jack itself was sadly prone to failure, with one or both channels becoming intermittent before, eventually, losing all connection in many cases. Though the repairs were quick and simple, it became clear to us that the jack should be upgraded from the start, and with the Talos 2 we have installed a new, high-quality TRRS jack on all units shipped. The connection allows for both single-ended connection via the stock cables, and use with balanced amplifiers using an aftermarket cable³. That wasn't all we wanted do to beef up durability, however. The original Talos's packaging was, to put it charitably, utilitarian. To save time, the original T50RP box was used on Talos launch, and ultimately no satisfactory replacement was found during the Talos's lifespan. Though it was serviceable and kept shipping and packaging costs low, the cheap cardboard box didn't speak to high quality, and did a mediocre job of protecting its contents - and, in at least one case, caused a customer confusion over whether what they had received was a stock unit or not! For a high-priced headphone, we felt better should be expected. Every Talos 2 ships with a large, aluminium-framed hard case for protection during shipping and transport, and storage and display at home. The cases are lined with firm but cushioning EVA foam on the bottoms and sides with custom sections to safely hold the Talos and its cables, and even sport a simple locking mechanism (the keys are universal, so it's best to think of them as security against rattling open rather than sticky fingers). Though the ergonomics of the Talos were a consistent point of praise from both reviewers and customers, we saw an opportunity to go further here as well with the Talos 2. The original Brainwavz HM5 Hybrid earpads were quite ergonomic and very well made for their reasonable price, but their depth and internal dimensions lead them to make contact with larger ears causing "hot spots" and the fenestrated pleather lining could lead to ears overheating in hotter climates. Our custom Impact pads on the Talos 2 feature larger openings, deeper, angled pads to fit the angling of the pinnae, firmer, higher-quality memory foam, and extremely soft velour on all surfaces that contact the head, ensuring comfort for all-day wearing. Of course, for premium headphones, the sound is the most key feature, and all of the ergonomic, accessory, and durability upgrades in the world wouldn't matter if sound quality were compromised in the process. We're happy to report, however, that the new Talos is sounding better than ever. In the next section, we'll talk about the "under the hood" and "on your head" improvements. With the Talos 2 we aimed at the same target for performance as the original Talos, incorporating everything we learned over the Talos's lifespan. Both the original Talos and the Talos 2 sport v-shaped tunings, with boosted treble and bass, but the differences stand out. The original's bass peaks around the midbass before rolling down gently into the lowest bass, taking some of the power out of deep rumble, while the Talos 2 extends almost linearly to 20hz. The treble also showcases our efforts in increasing linearity - while the spikes and dips of the original were subjectively enjoyable to many users, we felt that a more linearly boosted treble with around the same average power was more refined. The midrange remains mostly the same between the two, lightly recessed but relatively linear. What arrives at your own eardrum may not perfectly mirror what reaches the microphone in our mannequin, however. For one example, let's look at another measurement. Zoomed in with a smaller vertical scale² the improvement of the Talos 2 is more evident. While the original loses around 4dB of bass at worst from the glasses' disruption of its coupling to the head, the Talos 2 loses about half as much at worst, and remains below 1dB of deviation well below the midbass, where the ear will be more sensitive to level change. The pads and baffle venting of the Talos 2 were reworked to be more accommodating to glasses wearers, and even though the original had been intended, with its deliberately leaky hybrid pads, to account for a disturbed seal, the changes bore fruit. Given that disrupted coupling can occur with long hair and irregularly-shaped heads as well as glasses, we hope that this revision will help more people to experience the full potential of the Talos 2. Overall, we feel that the Talos 2 is an upgrade over the original in all respects, and we hope that our customers will agree. We appreciate the patience and enthusiasm of the people who have reached out to us asking about the Talos' successor, and have done our best to deliver something which was worth the wait. 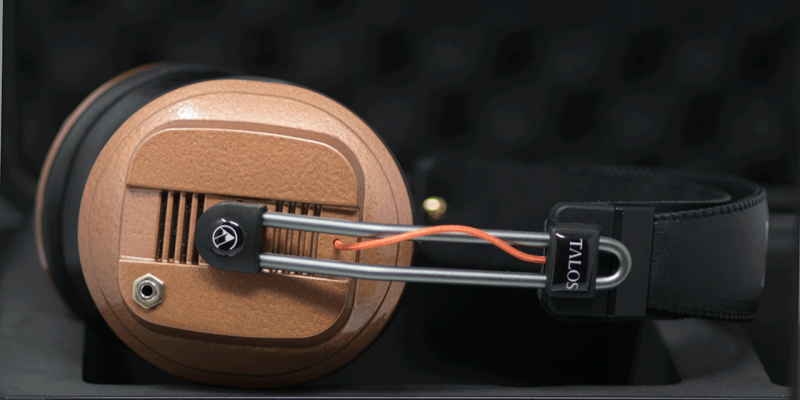 The Talos 2 will launch on sale for $260 at 5 PM PST Tuesday April 3rd, we look forward to hearing your impressions. 1: Note that our diffuse field compensated frequency response measurements cannot be directly compared to measurements with different compensations, such as those of Tyll Hertsens of Innerfidelity, GoldenEars, or RTings without accounting for the differences in response compensation. Innerfidelity's Independent of Direction compensation, for example, substantially changes the apparent balance of treble and midrange vs. diffuse field. 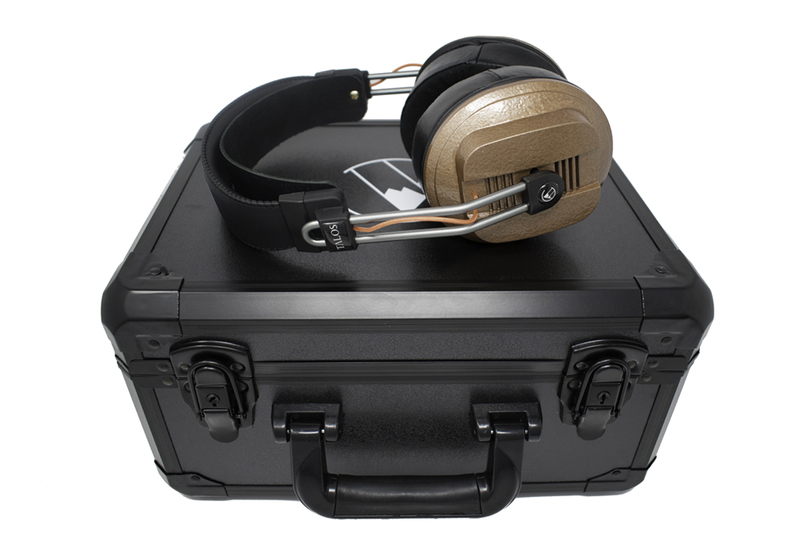 Additionally, some indications exist that compensated response may vary between different models of Head And Torso Simulator for at least certain headphones. Overall, we recommend caution in attempting to compare measurements from differing sources. 2: The inverse of a classic trick for creating the impression of linear response by zooming out to a ludicrously large scale, such as 100 or 150dB, making even massive response variations seem like small ripples. 3: Balanced pinout T = L+, R1 = R+, R2 = L-, S = R-. In single-ended operation with a TRS plug, R- and L- are shorted to the shared ground contact.